Bhubaneswar: Odisha Chief Minister Naveen Patnaik on Wednesday announced to increase the health cover for women under the Biju Swasthya Kalyana Yojana (BSKY) from Rs 5 lakh to Rs 7 lakh. 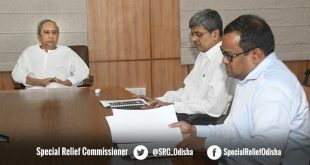 The Chief Minister announced the increase in the Biju Swasthya Kalyana Yojana for women after holding a meeting of Ama Gaon Ama Bikash programme at the State Secretariat here. “During the meeting, one Mamata Padiami of Kalimela area in Malkangiri district requested me to increase the health assistance for women under the BSKY. I have taken note of the suggestion. So, the health cover will be increased from Rs 5 lakh to 7 lakh,” said Patnaik. “This historic move, a first in country, will benefit lakhs of women & assure adequate healthcare coverage. 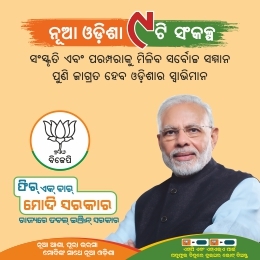 From Mission Shakti to Mamata & Khushi to land rights & houses, 50% reservation in Panchayats to free bicycles & hostels for girls, Odisha stands for women. The enhanced BSKY cover is yet another step for women & also for Healthy, Happy & Empowered Odisha,” the Chief Minister tweeted. 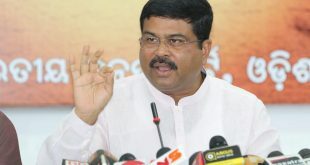 Notably, the Chief Minister had on June 12 announced the BSKY which will provide secondary and tertiary cashless health care assistance to around 3.5 crore people from over 70 lakh families in the state.